The full edition of MBC Wednesday and Thursday drama series “The King 2 Hearts” OST album is released on May 10th, 2012. 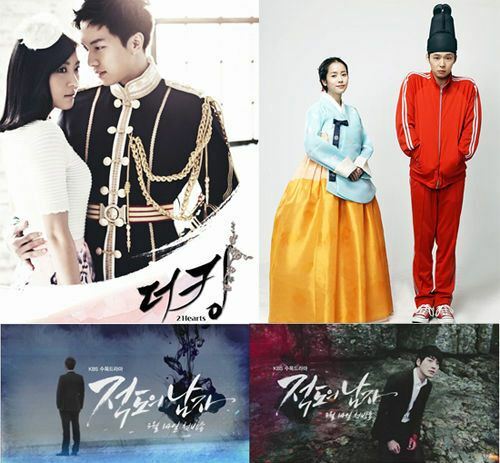 “The King 2 Hearts” OST album contains a total of 25 tracks. Among the tracks are all the previously released original sound tracks. In the OST album, Girls’ Generation leader Tae Yeon leads the soundtrack of The King 2 Hearts with the moving ballad “Missing You Like Crazy”. Boyfriend member Hyun Seong contributes his first solo ballad “Only You”. Spearheaded by music director Lee Pil Ho (Beethoven Virus), the soundtrack also features songs from K.Will, Lee Yoon Ji, Super Kidd, and SM Entertainment artist J-Min. To the disappointment of Lee Seung Gi’s fans, there is no song from the oppa. The King 2 Hearts full complete OST album is available from major music stores such as YesAsia (aff).